Check out some of our most popular teachers near Walnut Creek, CA including San Francisco, San Jose, Sunnyvale, Oakland and Palo Alto. I try to cater to each student's specific interests and lifestyle. With a background in orchestra and marching band as well as years of touring and recording in different styles of bands, I am able to balance the technical and fun aspects of the drums. Hello! I'm a drummer and drum teacher based in San Francisco. I have 30+ years playing drums in and 15 years teaching experience under my belt and although my focus has been the drum set the past 25 years, my foundation was in orchestral percussion and the rudiment heavy discipline of marching band. erform around the Bay Area and beyond. I received the honor of Best Drummer from the SF Weekly in 2009. As a teacher, I try to cater to the individual needs of each student while focusing and good technique and the fun, expressive qualities of the drums. Thanks for your consideration! Whether you are a complete beginner or getting more advanced and need the keys to reach your next level, I love teaching and I am here to get you there. I started playing drumset and snare drum when I was 12. After spending years in study, classically trained and playing in a professional Symphony Orchestra, while engaged as a gigging rock musician, I spent many years as a live performer and producer of live music, recorded music and theater. i've grown into this craft and feel strongly about conveying it's rudimentary and finer points to students who are interested in exploring and de-mystiifying the process and it's nature. Drumset lessons will give you the tools to be a solid and creative drummer, to practice daily and also to have fun with the instrument. Lessons include stick technique, limb coordination, beats, and playing the drums with musicality. You will learn diverse styles, fills and solo development, how to read music and drum charts, and how to groove. 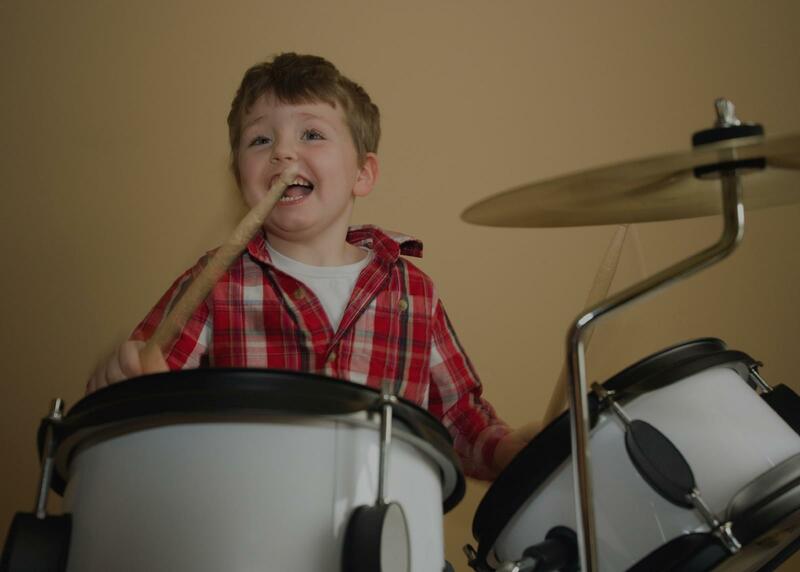 Drum lessons usually begin with some call and response to wake up the ears. This is followed by stick control work, learning singles, doubles, paradiddles, flams, closed rolls and other rudiments. After working on stick control, students work on independence between the hands and the bass drum. This is called coordination work because you are learning to do at least 2 different things at once. Students learn to sing rhythms as well as play them. A private drum teacher for over 10 years, based in Oakland, CA, I am a lover of music and I share that passion with my students of all ages, from beginner to advanced levels. My lessons are fun and motivational, encouraging students to perform the best they can while enjoying the learning process. I am patient, and I am a big believer in improvisation to improve creativity and confidence. I expect students to practice the techniques they learn and come prepared for each lesson. Eyal provided a great introduction to our 5-year-old. Highly recommended! Music is a subject that anyone can relate to. Playing and performing music is a dream that many aspire. I have watched my students grow from complete beginners to taking stages in front of a large audience. I am always thorough about teaching my students the basics: understanding proper technique, dynamics, and timing. I teach my students to play to a metronome, read music and rhythms, play songs, and play along with other live musicians. I specialize in many various genres of music including funk, rock, pop, hip-hop, prog, and metal. Over time, you will learn to play like the professionals that inspire you. Jesse has studied and played with Ravi Shankar, Anoushka Shankar, Tim Shea, Richard Wilson, Zoro, Chuck Silverman, the Mira Costa Jazz Band, the New Haven Symphony Orchestra, the California Symphony Orchestra, and rock legend Ike Turner. California, he continues to be involved in various recording projects, live performance and education. a, pop covers and dubstep/electronic music. No matter the genre, I always find a way to connect with the music because of my passion for the drums, something I hope to pass on to my fellow students. Can't find a teacher in Walnut Creek, CA? eally picked up a lot from John's coaching. Most importantly he kept my son's love for music alive:)"
San Francisco, CA teacher: John F.
instantly in order to help me improve." mming was high on my list. I also needed this to be a fun adventure with no real public performance goals for the first couple of years. It needed to be a stress reducer from the demands of the day job. Finding and working with RJ has been a total kick in the pants. I couldn't ask for a better coach. He hasn't let me get stuck in any one form, I'm learning all of them. It's hard! But I couldn't imagine not drumming now. It's very exciting, and I look forward to learning more over the coming years." San Francisco, CA teacher: Rob F.
h what you know. Rob's got both! He ably teaches theory, technique, and application. He has a wonderful warm personality that feeds a student's confidence without insincerity. It's obvious that Rob has been successfully teaching students how to drum for a good long time because he does it with such ease and good humor. Wanna learn how to drum? Read drum music? Understand how it all works? And have a really relaxed and fun time while you're learning? Rob Franco is your man." "First lesson was great! Will continue learning from Jeff." t music, single stroke rolls, double stroke rolls, and several rock beats. Currently, I’m learning sixteenth note drum fills. He is patient, enthusiastic, fun, and extremely talented. I highly recommend him as a drum teacher (beginner or experienced). You will not regret it!" c and how to execute on the drums.Good pieces of advice too when some parts are hard to play !" "Jeff totally knows how to let me go off in my own learning direction while keeping me grounded in the fundamentals. He's an excellent teacher."